At least three people are dead and many others have been injured in a horrific blaze at the Centara Grand Hotel in Bangkok. The Centara Grand Hotel fire swept through the eighth floor, terrifying some people so much that they leapt to their deaths from the tower. The 56-floor hotel caught fire at around 6 p.m. local time on Wednesday. According to multiple news reports from the scene, dark smoke billowed out of the building, and the fire could be seen from a long distance away. News footage shows a huge fireball shooting out of the tower after an explosion occurred inside. News reports indicate that the Centara Grand Hotel fire started in a document storage room on the eighth floor. Hundreds of people who were staying at the hotel panicked, rushing from their rooms. Some reportedly dashed to the parking lot at the hotel and shopping center to move their cars. At least two people jumped from the tower to escape the fire, falling to their deaths, and another person also died at the scene. At least five other people were injured, according to various media reports. It took firefighters about an hour to bring the Centara Grand Hotel fire under control. Emergency vehicles were initially stuck in traffic as they tried to get to the scene. The area around the hotel is always heavily congested. Bystanders also clogged the area, making it even more difficult for emergency personnel to reach the hotel. 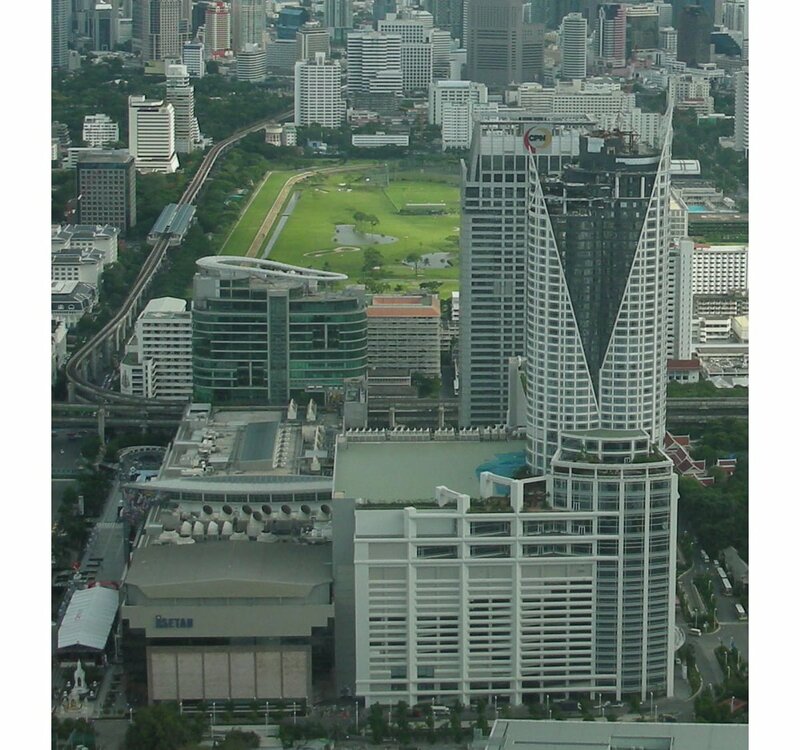 The Centara Grand Hotel is one of the largest in Bangkok and a popular tourist center. It’s located in Bangkok’s Pathum Wan District next to the CentralWorld shopping mall, which is also a popular tourist destination. The mall has more than 500 stores, 50 restaurants and 15 theaters, while the hotel has more than 10,000 square feet of event space.